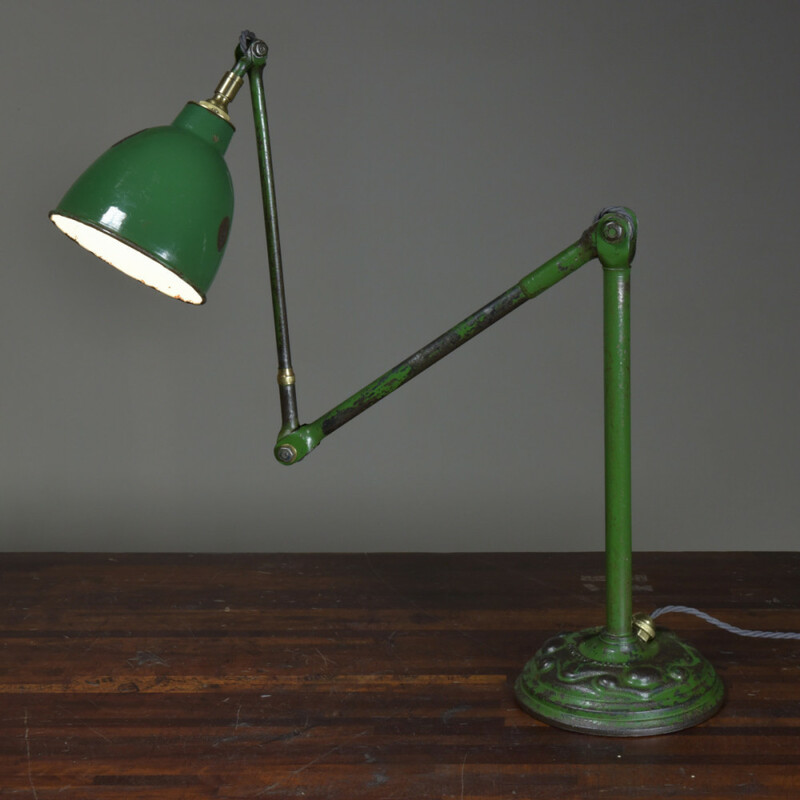 A good antique floor or large table / work / task / desk lamp by John Dugdill & Co ( Manchester , England) c 1910 . 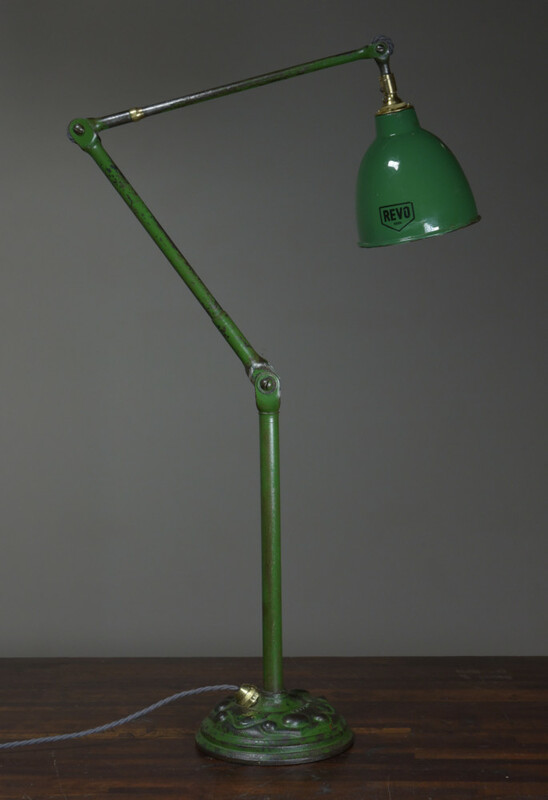 The lamp has fully adjustable arms and rotational joints above the stem and on the second arm, a Revo enamelled steel shade and a "nouveau" style moulded cast iron base showing "DUGDILLS PATENT" to the surface. 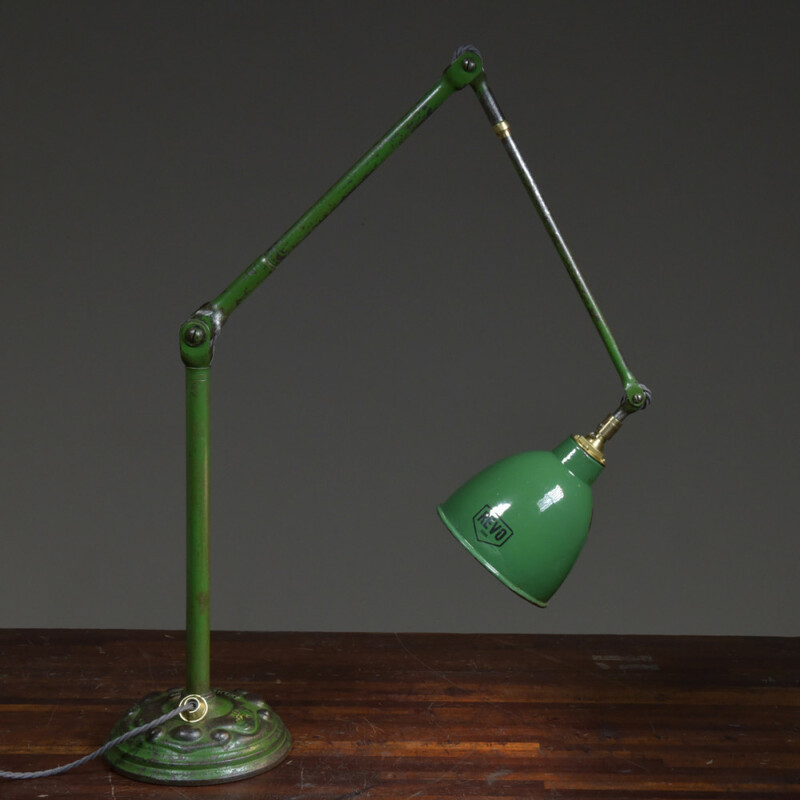 The lamp has been fully dismantled, cleaned, polished and clear waxed retaining the original green paint. 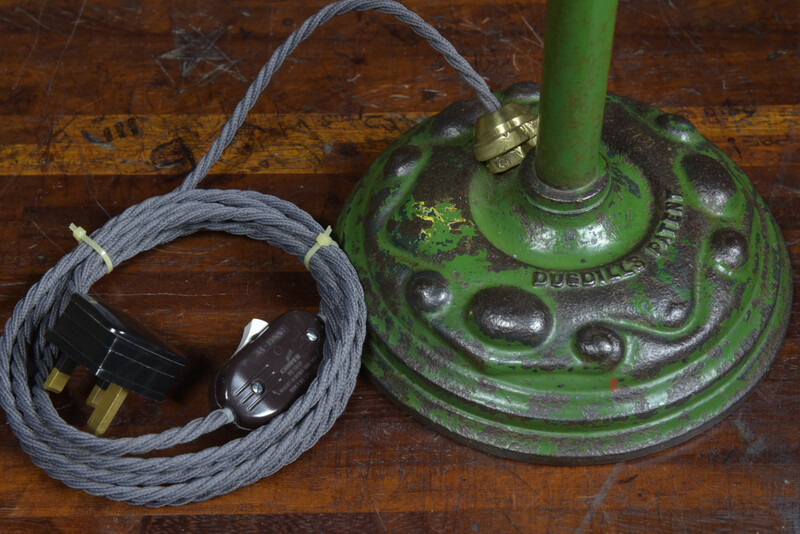 It has been rewired with 5 meters of "dusty grey" fabric flex, a quality inline switch and a hard plastic traditional plug. 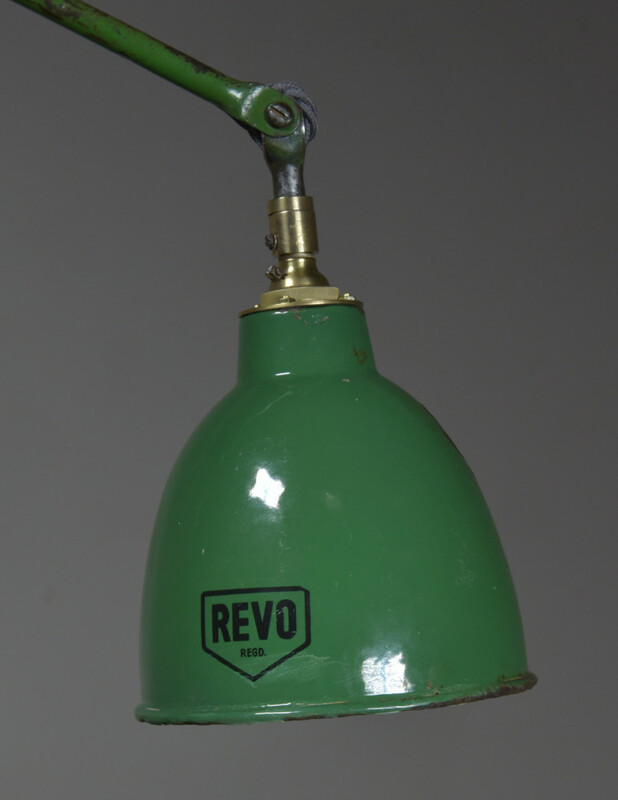 The original lampholder has been retained. 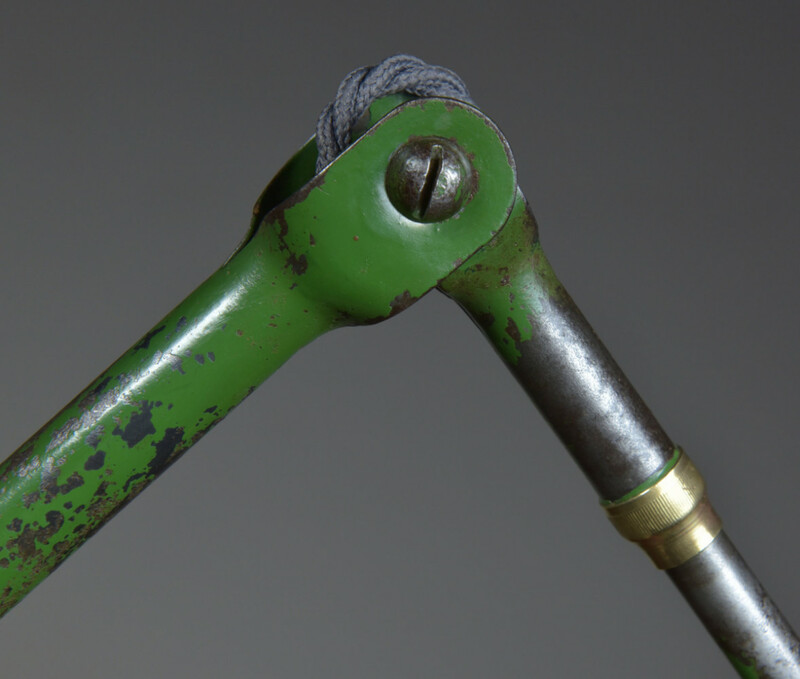 The original chunky brass cord grip on the base also remains. Dimensions in inches/cms; Max height is 59"/150cms Height to top of stem/1st knuckle joint is 18.5"/47cms, to second knuckle is34.5"/87cms. Base diameter is 8"/20.5 cms. For more / higher res images please see my blog which can be accessed through the news section of this (haes) website.